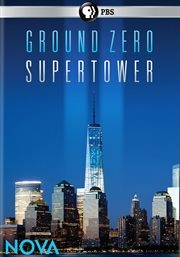 The item Ground Zero supertower, (electronic resource) represents a specific, individual, material embodiment of a distinct intellectual or artistic creation found in Austin Public Library. NOVA returns to Ground Zero to witness the completion of One World Trade Center. As the superstorm Sandy bore down on New York, many feared that the still-incomplete structures would be especially vulnerable to the storm's wrath. NOVA reveals the engineering story behind their remarkable resilience to nature's worst blows. The greatest test is still to come, though: will the final product be a fitting site for national remembrance?